Compact entry-level 5-colour printer perfect for high-quality CAD/GIS and posters. 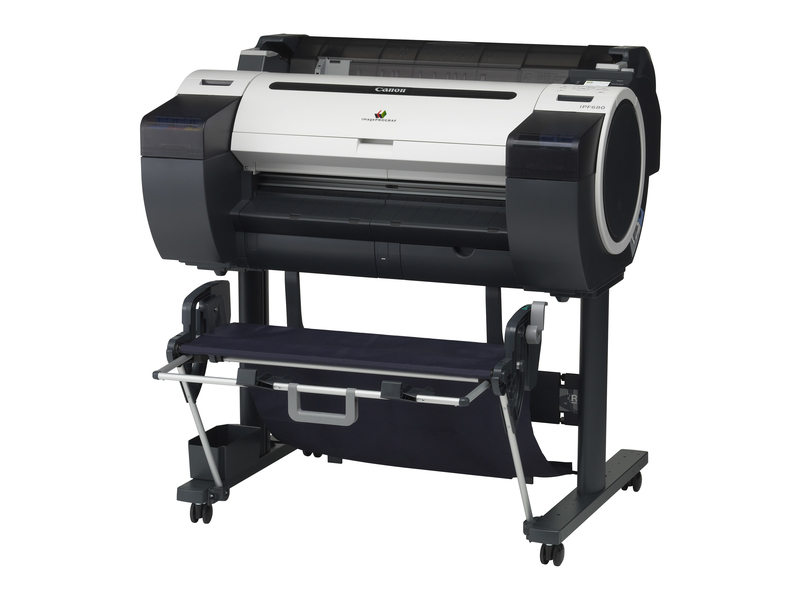 Combine quality and economy with this 24� high-speed 5-colour printer. Get crisper results on CAD/GIS and posters with new magenta ink while the 300ml capacity tanks ensure productivity without downtime. Take productivity to the next level with the Canon iPF680 a compact 5-colour printer with a faster printing speed that enables A1 output in draft mode in 25 seconds. Empower users with greater efficiency too with the new shortcut print feature of Direct Print & Share. This utility allows users to create shortcuts to their most-used print settings then print by dragging and dropping files onto their shortcuts. Canon�s 5-colour dye-and-pigment ink system produces the sharpest thinnest lines. With an accuracy of +/- 0.1% and a minimum line width of 0.02mm precision is guaranteed. Get more vibrant colours on CAD and GIS drawings and better quality red text or images for posters and POS with the iPF680�s reformulated magenta ink which covers a broader spectrum than ever. Support high-volume continuous printing with the iPF680�s large capacity 130ml/300ml ink tanks which can be interchanged according to frequency of use and can actually lower your Total Cost of Ownership (TCO) due to a lower cost per volume of ink. The hot-swap ink feature also lets you replace tanks during printing which gives you continuous output even on long print runs. Boost productivity and streamline printing workflows with imagePROGRAF Direct Print & Share which lets you print a host of file types without needing an application. As well as PosterArtist integration the solution allows you to upload and download files for immediate sharing with easy access even from mobile devices. Printing from an iPad application is also supported. Manage printing costs more easily with the built-in Status Monitor. The Status Monitor�s accounting function collects job logs and automatically calculates costs per job or time period. An economy mode can be selected which uses less ink: ideal when printing draft documents. Make better use of your space with the Canon iPF680�s streamlined 24� body which makes it the perfect entry-level model for businesses with less room or those who just prefer a more compact printer with a lower footprint. The iPF680 is compatible with HP-GL/2 and HP-RTL and includes the ability to set palette and pen settings for CAD workflows. Bundled software includes an Optimised Driver for AutoCAD and a plug-in for Microsoft Office that lets you print directly from Word Excel or PowerPoint.